Violent elections without results. 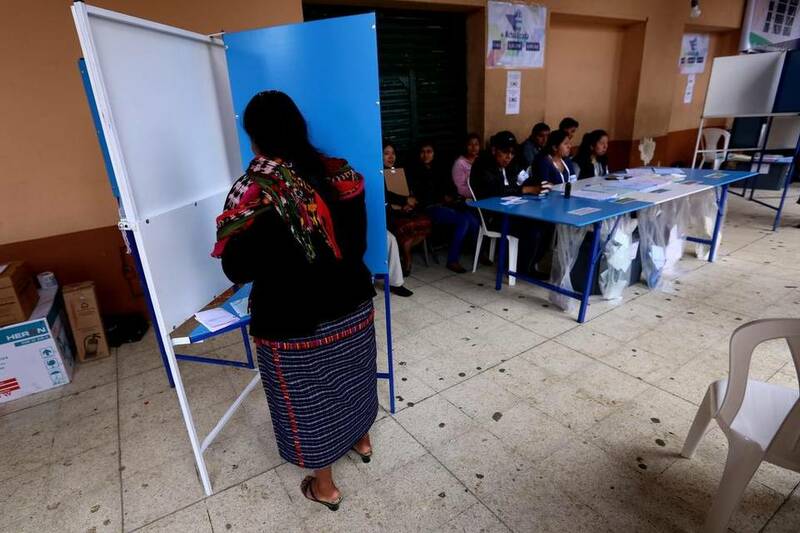 This is what Guatemala experienced after a “statistical tie” between the second and third presidential candidates prevented the High Electoral Court (TSE) from emitting results in order to clear doubts about who would be the contestants for the second round, scheduled for October 25. This is the dismal panorama the world and Guatemala have seen on the wake of the September 6 general elections. A precarious electoral system held the country against the wall, as while TSE stated that there had been no fraud, the feeble manual vote system made it impossible to count the votes from a 100% of the poll stations. 179 precinct counts (that is, 0.91% of the 19,582 vote collection boards) kept the country waiting anxiously, as they were not tallied to yield definitive results of the elections for the presidency. Rudy Pineda, president of the TSE, asked citizens to remain calm, but the Public Ministry admitted there were violent incidents that resulted in more than 500 arrests and 34 policemen injured during the electoral event, as well as street blockages and riots, and even the murder of a newly elected council member during the long wait for the final results. The preliminary results give Jimmy Morales 23.85% of the votes, placing him at the top of the race, but the second place was narrowly contended by ex-First Lady Sandra Torres from UNE (19.76%), and businessman Manuel Baldizón from Líder (19.64%). The difference amounted to 5,958 votes, but Baldizón decided to withdraw from the election, as he regarded the electoral process as illegitimate. Baldizón even suggested that “there are gross signs of fraud.” He mentioned the alleged existence of a “double computing system”, as although his party got nearly 50 deputies to the Congress and 140 out of 338 mayors’ posts, those votes did not reflect on the presidential election. The country is currently trying to overcome the risk represented by electoral fraud, but soon enough it will have to face the weakness of its manual voting system. Automating the process, or at least key parts of the election, may allow Guatemala to eradicate its flaws and evils, and finally find the path toward electoral transparency. 2014 was an important year for Ecuador: the February provincial elections became the first binding e-voting test with optimum results. After this initial success, it was taken for granted that the country would continue to strengthen its electoral guarantees, but the authorities decided otherwise. The National Electoral Council (CNE) announced that it canceled the project that would enable two million Ecuadorians to use e-voting during the 2017 elections. The entity argued that the initial investment for acquiring the technology was too high and that there was distrust on the part of the population regarding the technology. The authorities have set 2019 as a new target for launching a technology-assisted voting model. 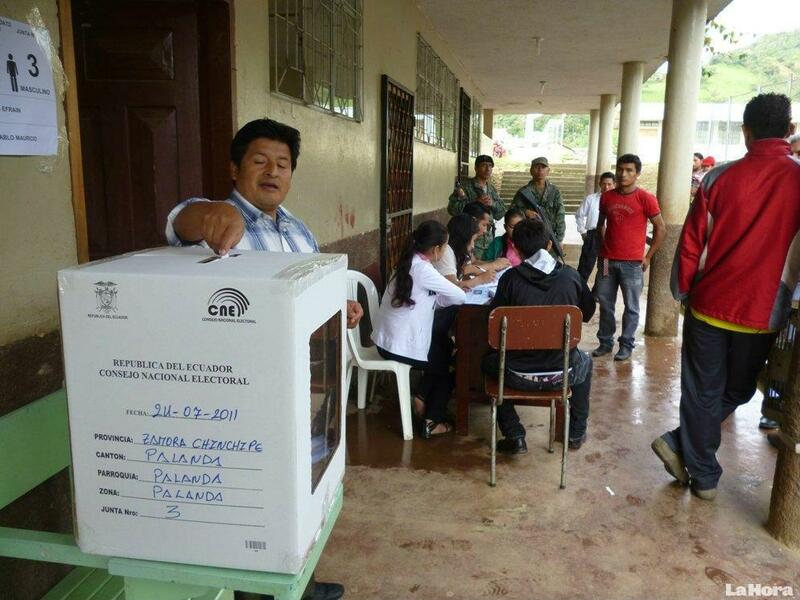 This contradicts the public statements voiced by the electoral body throughout the year, which highlighted the experience with e-voting in 2014: the deployment of voting technology in Santo Domingo de los Tsáchilas, provided by Smartmatic, as well as that in Azuay, provided by Magic Software Argentina; both of them capable of automating voting and safeguarding the people’s intent. The president of the CNE, Juan Pablo Pozo, argued that the entity needed to apply a savings policy to be in sync with the country, which has been affected by the fall in oil prices. He pointed out that while e-voting requires an investment of $14 per person, manual voting costs $7 per voter. Beyond checking whether the CNE’s calculations are correct—which they are not—, the world’s experience challenges Pozo’s argument. Countries that use e-voting confirm that after an initial investment, this system represents medium and long-term savings. Of course, the first implementation requires covering the costs of purchasing the software and hardware, training human resources, and educating voters, but these costs decrease significantly for the next elections, as only maintenance of the technology platform is needed. In spite of this reality, Ecuador has turned its back on automation. The country had set a development path that involved the gradual implementation of electoral technology, building upon the 2014 experience to promote electronic voting. When comparing the monetary cost of automation and the cost of elections with no transparency, it becomes obvious that electoral security is priceless. The harm caused by delayed or doubtful results to the political class and the country in general is unmeasurable. Ecuador even confirmed this in 2014, when Scytl, the Spanish company in charge of digitizing vote count minutes for their consolidation and vote assignment, breached their 6 million dollar contract, so it had to be terminated. The results of those elections were delayed several weeks until officially announced, which caused great political and economic distress. However, it is always possible to make amends. Ecuador has the opportunity to decide whether to subject its people to the ills of manual voting, or to continue along the road towards the implementation of a robust electronic voting system, adapted to the country’s technical, logistic, and idiosyncratic needs. 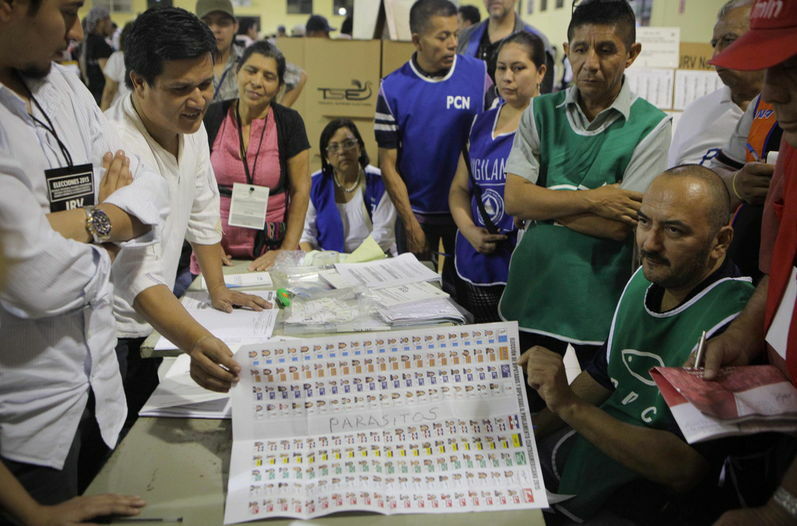 El Salvador, a country in Central America with a long history of violence, has resolved to eradicate the problems caused by its current manual electoral system, by automating its elections. To that end, the Supreme Electoral Court (TSE) is inviting the entire nation to join the debate aimed at adopting a technology that allows for the modernization of voting. It is worth noting that last March 1st, the manual voting system in use sparked suspicions during the country’s municipal and legislative elections due to problems and delays that occured. The TSE took almost a day to release provisional results and 19 days to complete the final tally. TSE magistrate Fernando Argüello Téllez reported that the entity is designing an action plan involving an e-voting pilot for the 2018 elections. Besides, consultations are expected to begin in order to promote the Electoral Code reform and enable e-voting. The entity expects voting to be automated by 2018 in some municipalities, and thus pursue gradual adoption of technology. “We will get to e-voting,” forecast Téllez when mentioning that El Salvador needs a technology that “enables counting votes” and not only shifting data. Besides, TSE magistrate Ulises Rivas traced along with Téllez one of the routes the nation could follow in order to jump into e-voting: to request support from Latin American countries with a trajectory in automation, such as Brazil and Venezuela. Both nations are well known successful examples in the use of electoral technology. Brazil uses machines with a numerical keyboard, which after the election is closed print several minutes with electoral results. One of these minutes is stored on a magnetic disk in order to transmit its information through a secure network. Venezuela, on the other side, has a 100% automated system: from voter authentication through fingerprint scans and voting using touchscreen devices with electronic ballots, which also store, tally, aggregate, and transmit encrypted results, and which also print vote receipts on paper, showing he choice(s) if each vote. El Salvador is barely beginning its path, but its not at a crossroads but instead facing the certainty of adopting a voting model that sets the country on the forefront of electoral security.